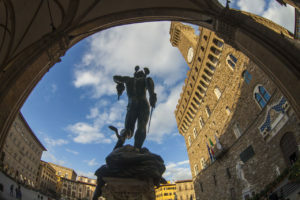 Vatican and Sistine Chapel Private Tour: No waiting in line, priority entrance with private dedicated guide that will show you Vatican wonders and tell you the stories hidden in the art-works. Vatican and Sistine Chapel Private Tour is classic, one of our best sellers tour! You will have 3 hours private guide at disposal. 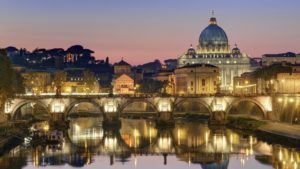 She will lead you through Vatican classical itinerary that covers Vatican Museums, Sistine Chapel and St. Peter Basilica. 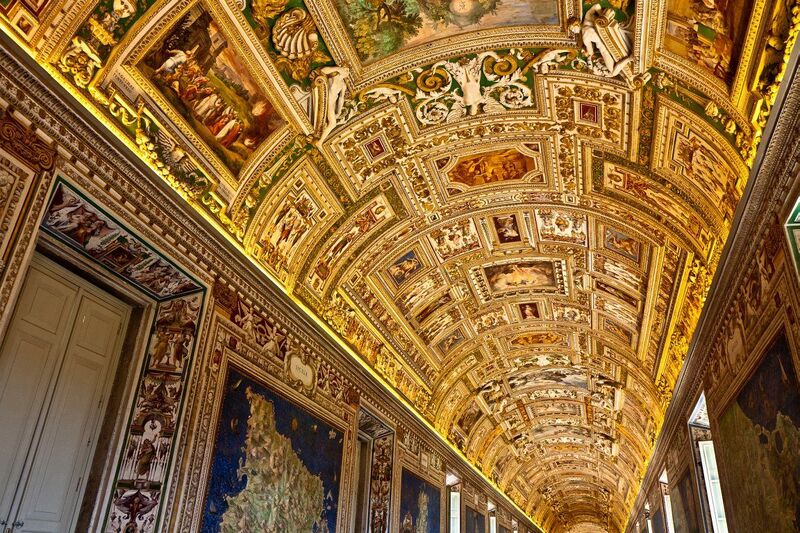 Vatican museums are a must see place, a location full of wonders of miles and miles length. 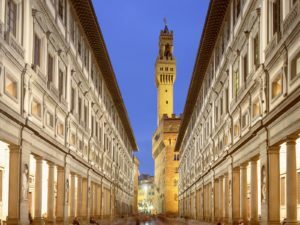 Your private guide will be able to show you the most beautiful Galleries, such as Gallery of Tapestry, a collection of tapestry belonging to different periods, and Gallery of Maps. This is a place that every person who loves geography should see! Here you will find a great collection of Maps of Italy most relevant cities and their harbor. You will continue to the apartment of the Pope Julius II and learn about Raphael and his school. Your guide will gain your attention telling you about the spectacular painted Rooms that were painted by the young Raphael , you will see the School of Athens where Raphael represented himself among the philosofers and he represented Leaonardo Da vinci as a Plato and Michelangelo as a Heraclitus. You will learn about the rivalry existing among Michelangelo and Rapahel and discover many interesting stories and anecdotes. Then, you will proceed to the Sistine Chapel. It is a truly unique place; you will see the paintings along the side walls representing the “Old and the New Testament” painted by a group of tuscan and Umbrina artists called by the Pope Sistos IV della Rovere, then your attention will be caputred by Michelangelo masterpieces of Last Judgement and the Ceiling representing stories from the Genesis book. Michelangelo spent in total 9 years and he painted the sistine Chapel in two different moment of his life, you will be really overwhelmed by the beauty of those frescoes and wondering how a man was able to do such an incredible art-work in the 1500s. . 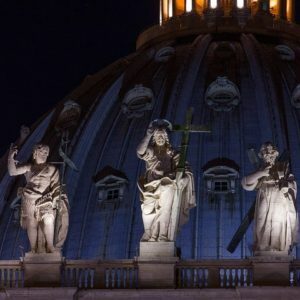 Finally, you will get to St. Peter Basilica. One of the holiest places in the world, its architecture and its treasures will amaze you for sure! You will see inside the Michelangelo’s’ “Pieta” and Bernini’s Baldacchino. The Basilica preserves inside also spectacular monumental Tombs of Popes and spectacular mosaics. Do not miss to take the opportunity on your free time to climb the Dome. Itinerary: Vatican Museums, Raphael Rooms , Sistine Chapel, Basilica of St. Peters. 3-hour guided tour with a dedicated passionate guide. The Vatican Museums and the Basilica of St. Peter require a dress code, no sleeveless t-shirts, no shorts or skirts above the knees are permitted. Directions: Meeting place in front of the entrance of the Vatican Museums located opposite in Viale Vaticano 100 right across the street of Caffè Vaticano. You can reach the meeting point taking the red metro line (line A) and getting off at Ottaviano strop. Ottaviano metro stop is only 10 minutes walk to the Vatican Museum entrance and you will meet us right across the street with a sign.